You have a craving for a frozen treat, which can mean only one thing. But is ice cream bad for you? There are a ton of healthy foods you should choose instead, but... life is short. Here’s how to enjoy ice cream (almost) guilt-free. Is ice cream bad for you? Well, the evidence is stacked against it, but we will say that it's not completely without benefits. We’ve all been there (some of us more times than we’d like to admit). Ice cream is so creamy, and cold, and comforting. And delicious. It’s literally irresistible once you’ve downed that first spoonful. Yes, ice cream’s full of sugar and it’s high in fat, but you push those nutritional caveats aside as it’s melting in your mouth. Is ice cream bad for you? Is it possible to enjoy it, at least now and then, guilt-free? Yes and yes. Why Is Ice Cream Bad for You? 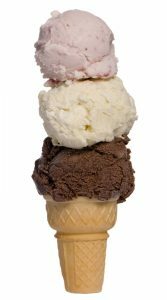 Its calories, sugar, and fat help answer the question “Is ice cream bad for you?” But does ice cream have benefits, too? Warning: This section may be depressing for those of us who hanker for a tub of mint chocolate chip at the end (or beginning or middle) of the day. That said, it’s important to know what we’re putting in our bodies, so here’s the ugly truth about our favorite creamy escape. Ice cream has a pretty substantial downside. Between those high sugar and fat contents and an ingredient that can cause potentially fatal gastrointestinal issues, this sweet treat should be enjoyed only in moderation. With that in mind, here are the details behind the bad news. • Calories: Just a half-cup serving (105 grams) of Ben & Jerry’s Caramel Chocolate Cheesecake Ice Cream Truffles contains 300 calories. How about a whole pint, which contains four servings (which we all know is easy to wolf down)? That would be a whopping 1,200 calories. Since you should be aiming for 2,000 to 2,500 total calories a day, that’s more than half of your daily intake. • Fat: That same Ben & Jerry’s ice cream contains 19 g of fat in a single half-cup serving, and 10 g of that is saturated (the “bad” kind, which raises our levels of LDL cholesterol). 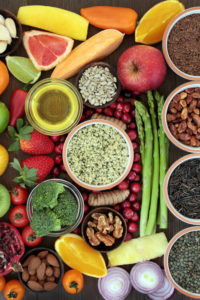 The American Heart Association recommends we limit our fat levels and cut back on saturated fat, making sure it doesn’t exceed more than 5 to 6 percent of our total calories—that’s about 16 g of saturated fat daily for someone on a 2,000-calorie diet. So one serving of our chosen sample exceeds that total. • Carbohydrates: Ice cream is high in carbs, which can be stored as fat if we don’t work them off right away. Consuming too many carbs can also wreak havoc on our glucose levels, putting us at a higher risk of diabetes. • Trehalose: This artificial sugar acts as both a sweetener and texturizing agent, claims Dr. Francis Collins of the National Institutes of Health. It also “depresses the freezing point of food,” he says in a blog on the NIH site, making it a useful addition to ice cream. Problem is, trehalose has been linked to a rise in potentially fatal infections from Clostridium difficile (C diff), a common bacterium found in our guts. According to Collins, some store-bought ice creams contain trehalose concentrations of up to 11 percent. • Listeria: A bacteria that can cause serious illness, especially in those with weakened immune systems, listeria has been found in ice cream products at a rising rate. LIGHT ICE CREAM: DOES IT HELP YOU LOSE WEIGHT? “Light” ice cream may be lower in fat and calories, but it’s often chock-full of sugar to make up for their lack of taste. A review published in BMJ found that a person’s sugar intake was directly correlated with his or her overall weight. Ice cream also lacks the levels of protein and fiber found in regular brands—two things that help us feel full. The result: We eat more because a) We’re fooled into thinking it’s healthier and b) We aren’t satiated. Plus, our blood sugar levels spike due to the excess sugar, leading to more cravings. Frozen yogurt may not be much healthier. Read our post Is Frozen Yogurt Healthy? to find out more. Are There Benefits to Eating Ice Cream? First, consider that eating ice cream can make you happy (no shocker here). The act of indulging in this treat can increase serotonin, a neurotransmitter sometimes referred to as the “feel-good hormone.” It’s thought that the carbs have something to do with this process. Another bonus: “Although ice cream is calorically dense, it does offer some nutritional value,” says Laura Hartung, a Boston-based registered dietitian and nutritionist. Ice cream contains calcium, potassium, and magnesium, which help maintain healthy blood pressure levels. As we all know, calcium is also essential to strong teeth and bones. A half-cup serving of ice cream also boasts 5 g to 9 g of protein, which can help us feel full for longer while boosting energy levels. Other nutrients found in our fave frozen treat include vitamin A, thiamin, riboflavin, vitamin B6, and phosphorus. 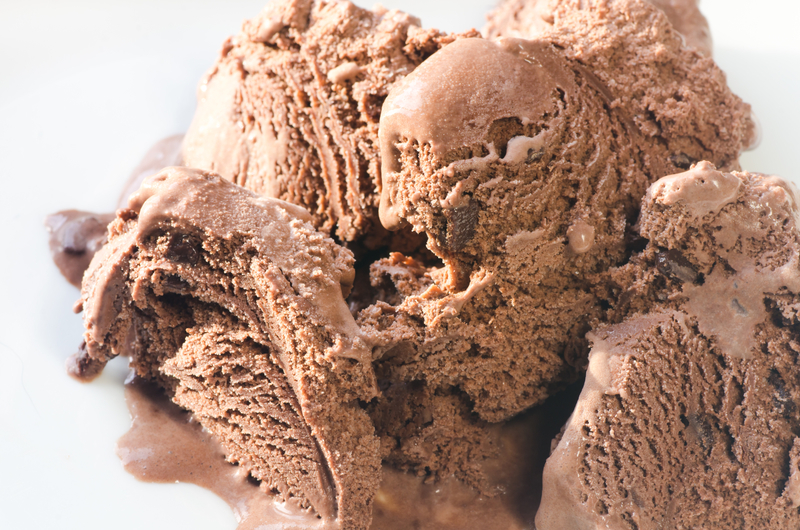 Eating ice cream can also improve our calcium absorption. In a small study, Dutch researchers offered 16 volunteers two types of calcium-fortified ice cream and milk with breakfast (sign me up for the next study, please!). Their goal was to determine whether fortifying ice cream would help increase a person’s absorption of calcium. Their findings: Calcium was as easily absorbed from the ice cream as it was from the milk. In other words, as the researchers wrote, “Ice cream may be a good vehicle for delivery of calcium.” Woo hoo! WHICH ICE CREAM SHOULD YOU CHOOSE? “Choose the ice cream that has the fewest ingredients and follows a recipe you could make at home,” suggests Boston-based Laura Hartung, a registered dietitian and nutritionist. “As I search up and down the ice cream aisle at the grocery store, I’m overwhelmed by the selection and the ingredients lists.” Many of them, she notes, contain a ton of unhealthy ingredients, including trans fats, glycerin, erythritol, artificial colors, and gums such as cellulose, which is often made from cotton seeds or wood pulp. Yuck! She also recommends choosing an organic brand to avoid genetically modified ingredients. Is Ice Cream Bad for You—or Can You Enjoy Some Guilt-Free? That said, if eating ice cream causes you to binge or leads you to suffer from guilt or depression, it may be healthier to opt for a different treat. bacteria, balanced diet, blood pressure, blood pressure levels, blood sugar, blood sugar levels, blood sugar symptoms, bone, bone health, boosting energy, boosting energy levels, breakfast, c diff, calcium, calories, cardiovascular, cardiovascular disease, chocolate, cholesterol, clostridium difficile, depression, diabetes, diet, fiber, food, food cravings, for depression, gastrointestinal, glucose, glucose levels, Glycemic index, glycemic index food list, health, healthy blood pressure, high blood sugar, hormone, increase serotonin, is frozen yogurt healthy, is fructose bad for you, junk food effects, ldl, ldl cholesterol, Lose Weight, low glycemic foods, magnesium, milk, natural sugar, natural sugar substitute stevia benefits bone health and more, neurotransmitter, normal glucose levels, nutrients, nutritional value, organic, osteoporosis, portion control, potassium, potassium and magnesium, protein, recipe, serotonin, stevia, sugar, sugar levels, sweet tooth, vitamin, vitamin a, vitamin b6, vitamins, vitamins and minerals, why is sugar bad for you, yogurt. I could never only have a half a cup, that’s a tease! I’d rather make it count and have a whole pint every once in awhile. That’s just me. Thank you. Your articles are interesting and helpful indeed!!!! Thank you. Kind regards, Eugenie Consumer Med. I am a “low-level” diabetic who has in 5 years lowered and maintained my A1C to about 5.9. I take some berberine, and really try to watch what i eat. I LOVE ice cream. I read the labels, usually only buy Breyers natural flavors and check the sugar levels in it. There is a huge variuance in different brands and flavors. I probably eat about 3/4 to a cup. I have checked my sugar later and surprisingly there is not a huge spike. I think ice cream is preferable to eating a lot of cookie. Some folks say it is the fat that slows down the sugar absorption. I do not eat it all the time though either. I thought you might be interested in this article on https://universityhealthnews.com: Is Ice Cream Bad for You?